In this fascinating and meticulously researched book, bestselling historian Arthur Herman sheds new light on two of the most universally recognizable icons of the twentieth century, and reveals how their forty-year rivalry sealed the fate of India and the British Empire. They were born worlds apart: Winston Churchill to Britain's most glamorous aristocratic family, Mohandas Gandhi to a pious middle-class household in a provincial town in India. Yet Arthur Herman reveals how their lives and careers became intertwined as the twentieth century unfolded. Both men would go on to lead their nations through harrowing trials and two world wars--and become locked in a fierce contest of wills that would decide the fate of countries, continents, and ultimately an empire. 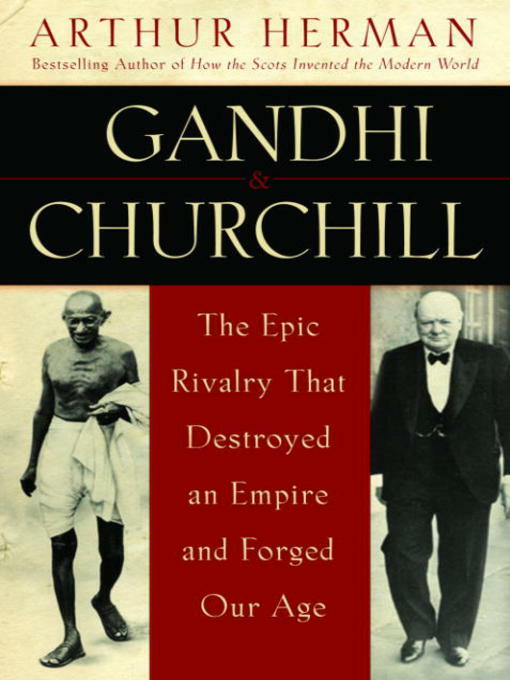 Gandhi & Churchill reveals how both men were more alike than different, and yet became bitter enemies over the future of India, a land of 250 million people with 147 languages and dialects and 15 distinct religions--the jewel in the crown of Britain's overseas empire for 200 years. Over the course of a long career, Churchill would do whatever was necessary to ensure that India remain British--including a fateful redrawing of the entire map of the Middle East and even risking his alliance with the United States during World War Two. Mohandas Gandhi, by contrast, would dedicate his life to India's liberation, defy death and imprisonment, and create an entirely new kind of political movement: satyagraha, or civil disobedience. His campaigns of nonviolence in defiance of Churchill and the British, including his famous Salt March, would become the blueprint not only for the independence of India but for the civil rights movement in the U.S. and struggles for freedom across the world. Now master storyteller Arthur Herman cuts through the legends and myths about these two powerful, charismatic figures and reveals their flaws as well as their strengths. The result is a sweeping epic of empire and insurrection, war and political intrigue, with a fascinating supporting cast, including General Kitchener, Rabindranath Tagore, Franklin Roosevelt, Lord Mountbatten, and Mohammed Ali Jinnah, the founder of Pakistan. It is also a brilliant narrative parable of two men whose great successes were always haunted by personal failure, and whose final moments of triumph were overshadowed by the loss of what they held most dear.